Exciting New Event for 2019! It gives us great pleasure to announce the IAOS 2019 Orthopaedic Conference in September, 2019 at the beautiful Sea Crest Beach Hotel in breath-taking Cape Cod, Massachusetts. The scenic splendor and exciting activities make this meeting the perfect place to bring your family for a vacation they’ll never forget! This exciting conference is a great place to meet with friends and colleagues from the US, Ireland, and other European countries to collaborate and exchange ideas. Registration will open soon! Watch your email for details. a discounted member rate for the conference. We hope to see you there! 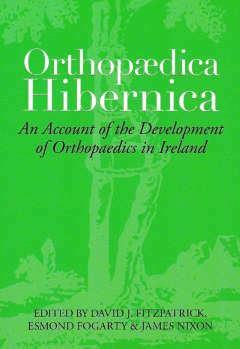 The Irish-American Orthopaedic Society (IAOS) welcomes you to our website. We are a professional organization for orthopaedic surgeons who are Irish, of Irish descent, or have trained in an Irish University. Through cooperation with other Irish American organizations, and by building positive relationships with medical colleagues across the Atlantic, the IAOS strives to celebrate our rich Irish heritage while expanding orthopaedic knowledge, fostering goodwill and cooperation, and bettering the lives of those we reach. If you are not an IAOS member, we encourage you to explore the site, then join our fine organization. We are always on the lookout for bright, talented orthopaedic surgeons in the United States, with ties to Ireland, who have much to share with the orthopaedic community. It’s easy to join, just click on the “Membership” button to access the member benefits tab and to fill out an application form. We look forward to welcoming you as a Society colleague who shares the same passion and drive for the practice of orthopaedics, as we do. If you are already a member, please take a moment to reacquaint yourself with the IAOS website.